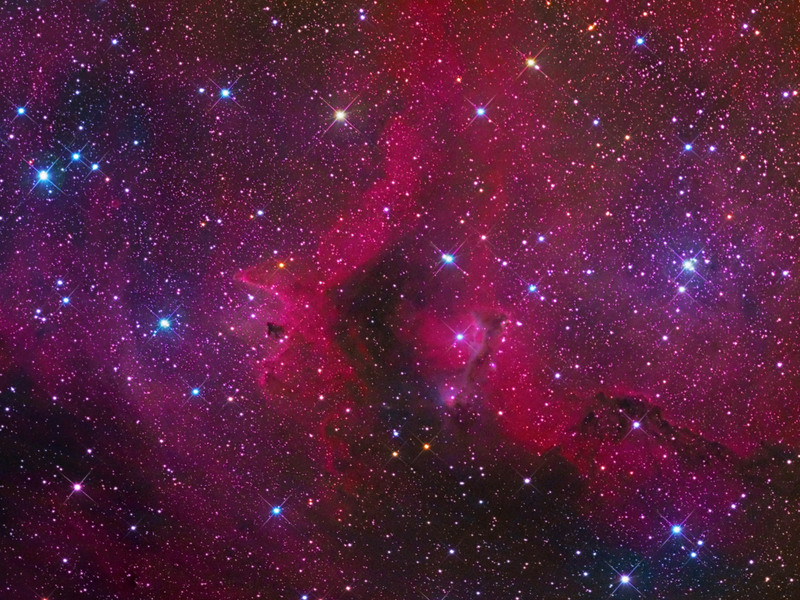 IC 1848 (also designated as Sharpless 2-199, LBN 667, or Soul Nebula is emission nebulae in Cassiopeia. Some sourses point IC 1848 to be the open cluster at the body (center left on the image). Several smaller open clusters are also embedded in the nebula: CR 34, 632, and 634 (in the head). The small emission nebula IC 1871 is present just below of the head.This is a very large HII region, whose distance is estimated to be about 7,600 years light from us. Its gas is illuminated by the stars of the clusters and associations of nearby stars (among which 33 Cr and 34 Cr - two very large open clusters with little concentration, formed by blue giant stars born from the gas of the nebula). 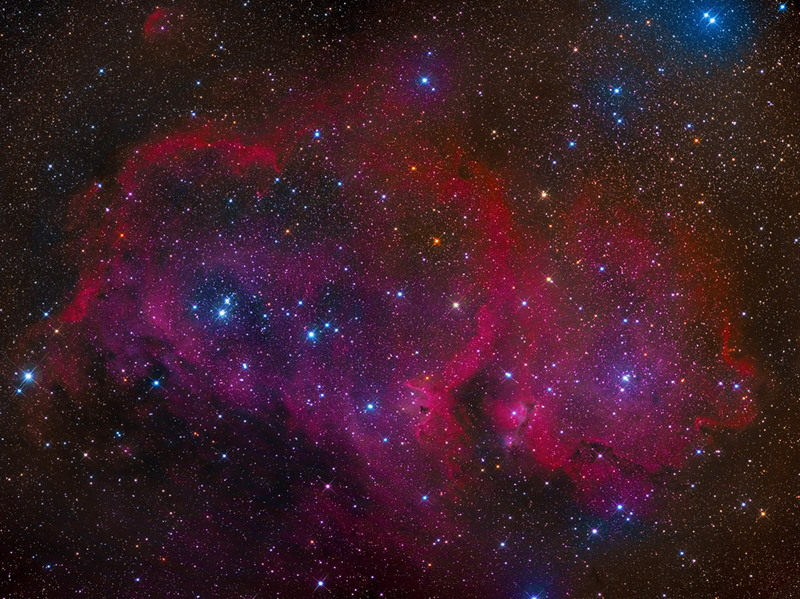 The light is then re-emitted by the nebula in red color, typical for the emission lines of hydrogen H-alpha. In his area is presented a very active star formation. This is a two panel mosaic.